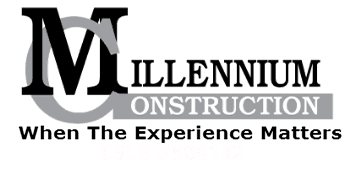 For over 17 years Millennium Construction has emerged in Orange County as one of the top premiere residential General Contractors. With an exclusive list of clientele and projects which showcase their quality, imagination and consistency. Visit our portfolio and testimonial page to see what our customers are raving about. "Creating happiness through Building and Design"
- A+ rating from the Better Business Bureau (BBB). -We can provide you a preliminary budget analyses before your project begins.